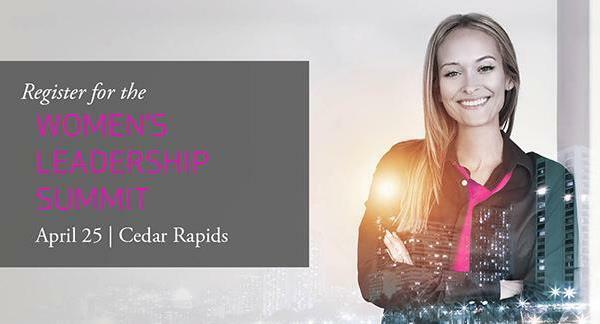 Register for the Women's Leadership Summit View webpage version. Can We Count On You for Capitol Hill Day? This Capitol visit may be the most important advocacy work you have done for your credit union in recent history. On March 7, we hope to flood the Capitol with 1,000 credit union representatives spreading the message of protecting financial choice and supporting the unique work credit unions do for their members. Can we count on you? Register here! Due to the expected size of the event, we will now be meeting at the State Historical Building, 600 E. Locust St., Des Moines. Please plan to arrive by 11:00 a.m. Following lunch, we will make a short walk over to the Capitol for an outside rally and meetings with lawmakers. Click here for details about the day. Last night, the Iowa Senate passed a bill that included a new income tax for at least 20 of our credit unions, impacting more than 500,000 members. Under this legislation, other credit unions could be impacted in the future as well, should they grow. The bankers have been working hard - they have been lobbying lawmakers and running negative ads for a while now. But our voices must be louder and stronger against the proposed legislation. Lawmakers must understand the impact this tax will have on credit union members, neighborhoods and communities across the state. Today, the Iowa House will start discussing the tax bill. Their work on the bill will be happening next week while we are at the Capitol. We need their support to keep credit union taxation out of their version of the bill. If you've never been to a Capitol Hill Day, don't be nervous, as your presence alone will speak volumes! The more people we have in attendance, the stronger our message will be to lawmakers that a tax on one credit union is a tax on all credit unions. Please don't let unfamiliarity stop you from taking a stand on this important issue. We are aware that a number of credit unions throughout the country have received demand letters threatening class-action litigation regarding their website's alleged lack of compliance with the Americans with Disabilities Act (ADA). This activity continues to increase, with additional states being impacted. Contact your credit union's website developer to determine if the website was built in accordance with W3C Web Content Accessibility Guidelines. Have a review of the website completed by an organization with an expertise in accessibility standards. Collaborate with your credit union's IT and compliance teams to remedy any identified ADA deficiencies. Conduct ongoing monitoring and reviews of websites and mobile applications to ensure accessibility. To assist credit unions, PolicyWorks has partnered with an Iowa company that can provide scans and consultations for credit unions related to ADA considerations. Please contact Jason Harpenau at 515.221.1856 for additional information regarding this service. Immediately notify the credit union's bond carrier, review the credit union's liability coverage, and identify the next course of action. Consult the credit union's legal counsel. The CUNA/ League system continues to actively seek a permanent federal and state legislative and regulatory solution to provide clear guidance for credit unions on how to properly accommodate individuals with disabilities accessing their websites. Join us for the Small Credit Union Roundtable on March 6 from 10:00 a.m. - 2:00 p.m. at the Iowa Credit Union League (ICUL) offices, 1500 NW 118th Street in Clive. RSVP by Friday, March 2. This event is geared toward credit unions with $35 million in assets and less. The agenda and discussion topics are generated by the participants. There is no cost to attend and lunch will be provided courtesy of the Iowa Credit Union League. RSVP today to join your peers and hear from Jo Ellen Whitney, Davis Brown Law Firm, on "Black Ice - Unexpected HR Issues." This is an interactive discussion relating to HR topics including various social movements like #metoo, recent legal changes, and developing areas in employment. Participants will have the opportunity to ask questions, discuss strategies, and evaluate existing issues. Come with your own questions and you will hear from the expert about what the law says. 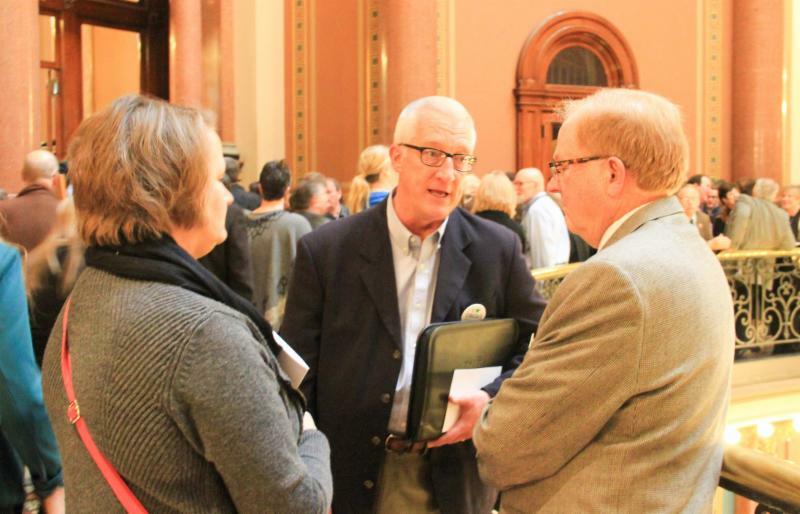 The roundtable will be held Thursday, March 8, from 10:00 a.m. to 2:00 p.m. at the Iowa Credit Union League (ICUL) offices at 1500 NW 118th Street in Clive. There is no cost to attend and lunch will be provided courtesy of ICUL. RSVP online by March 6. The Human Resources Roundtable is a dues-supported, informal network of credit union employees who have human resources responsibilities in their credit union. Register today to attend the Regulatory Compliance Update on Thursday, March 29 from 9:00 a.m. to 4:00 p.m. in Des Moines (location details to be finalized soon). Credit union compliance and deposit operations staff are invited to join us for our annual Regulatory Compliance Update. This year, we will provide training on evergreen topics, such as website marketing compliance and trends in financial crimes. In addition, we will cover some upcoming rule changes in the areas of BSA an Regulation CC. The full agenda will be announced soon. Please see the registration website for cost and discount information.